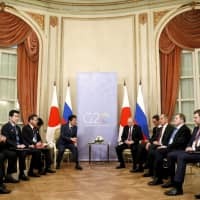 BUENOS AIRES - A new framework between Japan and Russia has been set for negotiations on their decades-old territorial row and a peace treaty, with a critical point in the talks seen coming sometime in the first half of next year. 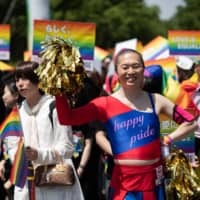 But the talks are expected to be tough as the two sides remain far apart over the territorial dispute concerning four Russian-controlled islands off Hokkaido, informed sources said, noting that the course of the negotiations will likely be influenced by public opinion in both countries as well as moves by the United States. Under the new framework agreed to by Prime Minister Shinzo Abe and Russian President Vladimir Putin at their meeting in Buenos Aires on Saturday, Deputy Foreign Minister Takeo Mori and his Russian counterpart, Igor Morgulov, will mainly engage in the negotiations, with the overall framework led by the two nations’ foreign ministers — Taro Kono of Japan and Sergey Lavrov of Russia. Mori and Morgulov have been appointed to be the special representatives of Abe and Putin, respectively. At their previous meeting in Singapore in mid-November, Abe and Putin agreed to accelerate the negotiations based on the 1956 Japan-Soviet joint declaration, which stipulated that two of the four islands, the Habomai group and Shikotan, as they are called in Japan, be handed back to Tokyo after the conclusion of a peace treaty. But Putin has suggested Moscow’s intention to maintain its sovereignty over the two islands — even after the possible handover. The handling of the other two islands — Etorofu and Kunashiri — is more uncertain. Japan’s basic position is that Tokyo and Moscow should conclude a peace treaty after resolving the sovereignty of all four islands, but Abe has apparently indicated his readiness to deal with the Habomais and Shikotan first. Former Foreign Minister Katsuya Okada said that Abe appears to have backed down from the conventional government policy, adding that the prime minister has “given no explanation at all” as to the about-face. Japan has claimed that Russia continues to illegally occupy the four islands, while Moscow has maintained that its sovereignty resulted from World War II and was recognized by international law. Russia may possibly urge Japan to change its view in this regard, experts have said. The territorial issue has prevented Tokyo and Moscow from concluding a peace treaty to formally end their wartime hostilities. The islands were seized by the former Soviet Union at the end of the war. Russia’s recent seizure of Ukrainian warships is also expected to cast a pall over the Japan-Russia negotiations. While the international community is increasingly critical of Russia over the incident, it will be difficult for Japan alone to push for bolstered dialogue with Moscow. The ships’ seizure “could affect” the Japan-Russia negotiations, a senior Japanese Foreign Ministry official said. 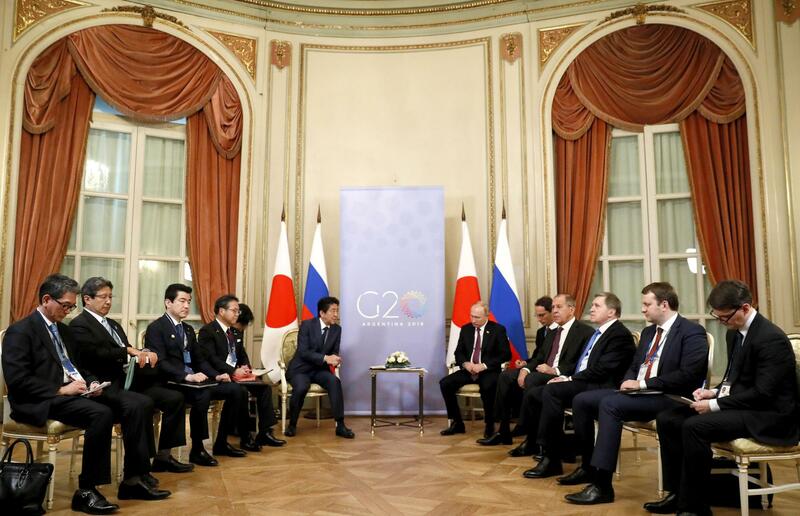 At the Buenos Aires meeting, Abe conveyed Japan’s concern over the matter to Putin. Russia is wary that if any of the islands are handed over to Japan, an ally of the United States, the U.S. military could set up a base there, upsetting the strategic balance in the area. Russia may call on Japan to lift sanctions it launched with the United States and European nations in response to the 2014 Ukraine crisis, a scenario that would put Tokyo in a difficult position. If progress has been made on the territorial issue, which has remained unresolved for over 70 years since the end of World War II, Abe may dissolve the House of Representatives, the all-important lower chamber of the Diet. 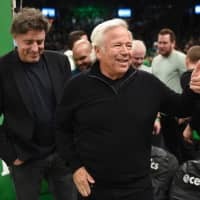 This would allow him to set a general election on the same date as the triennial Upper House election in the summer of 2019, some sources said. 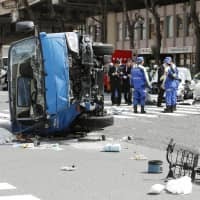 However, if Japan is unable to keep even the possible return of two of the islands on track, the Abe administration could face headwinds, leaving his ruling Liberal Democratic Party forced to fight an uphill battle in the Upper House election, the sources added. Putin, also, is believed to be facing his own set of challenges, including a faltering public support rate following pension reforms. With his political foundation less than solid at home, Putin “will never make territorial concessions that would draw a backlash from the Russian people,” a senior Japanese government official said.